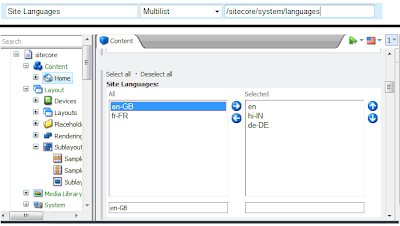 Are you working in Sitecore multisite environment and different sites are built in different languages? Then one idea should come in your mind that can't we set site-wise languages to the Page Editor's Webedit Ribbon and Content Editor's Language Gallery Form. By default, the ribbon shows all languages defined in /sitecore/system/Languages. 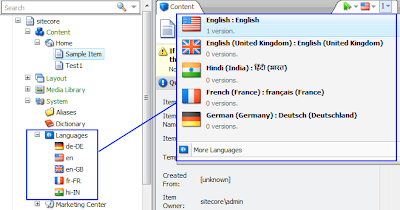 In our Sitecore instance, there are 40+ languages and many different culture sites. So, this idea came in our mind and implemented. See below snap, there are total 5 languages in System. 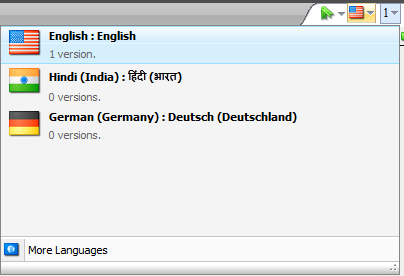 Now, suppose, your site A uses 2 languages and site B uses other 3 languages. Then selecting item of site A, it should show 2 languages and same for site B, it should show 3 languages. 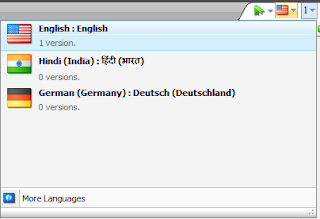 In this example, the site is built in 3 languages: En, hi-IN, de-DE. 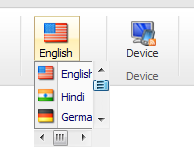 So, the ribbon should not show other languages en-GB and fr-FR. See below snap what is expected. 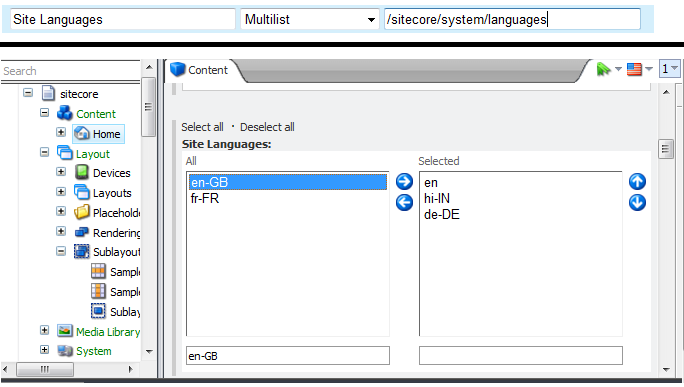 We can have a multilist field to the Home Item of each site, where we can choose site's languages from the whole list from /sitecore/system/languages. See below screen. Code in the CodeBeside file: Create a custom class, which will be a repilca of the Sitecore.Shell.Applications.ContentManager.Galleries.Languages.GalleryLanguagesForm class. We just need to override OnLoad event in this class. So, this will be look like..
Code in the class file: Create a custom class, which will be a repilca of the Sitecore.Shell.Applications.WebEdit.Commands.ChangeLanguage class. We just need to overrideExecute event in this class. So, this will be look like.. Cheers, finally we achieved site-wise selected languages for each site for our multisite Sitecore environment. 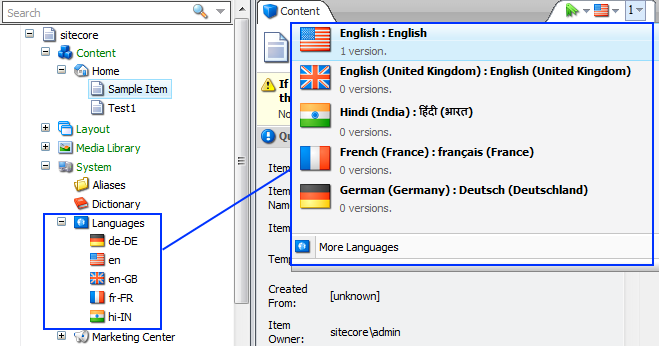 - Why my Sitecore Media Item created in multiple languages? Excellent, but I don't know how get my sorted languages to XML. Can you help me, please? Hi, are you talking about fetching site specific languages to xml? That you can get it from GetMySelectedLanguages() function called from above code, which I have not written here assuming it's not a big task. In this example, I have given facility to user to get languages from the MultiList, shown in 3rd image. Still let me know if you have doubt or I misunderstood your question. Hi, yes I'm talking about fetching data into XML (sitecore/shell/Applications/Content Manager/Galleries/Languages/Gallery Languages.xml). I've similar function for get list of available site languages as in example, called from OnLoad event, but language selector in SC Content Editor is empty - displayed empty div only, so I thing that data isn't fetch to XML. 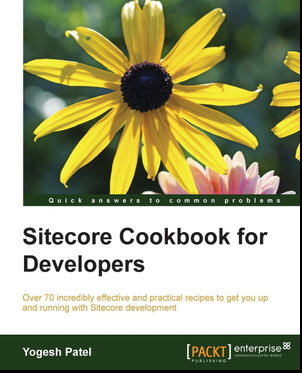 Hi Jiri, in the code block, there is a comment "// Same code which is in foreach block " here, you have to write the same code, which is written in Sitecore.Shell.Applications.ContentManager.Galleries.GalleryLanguagesForm's foreach block. I have skipped that code due to its length. Still, you can download the code from https://drive.google.com/a/patelyogesh.in/file/d/0B1otw7vE3rGTWDdhTWZ5ekpZV00/view?usp=sharing. This example shows only two languages - English and German. You can customize the way you want.